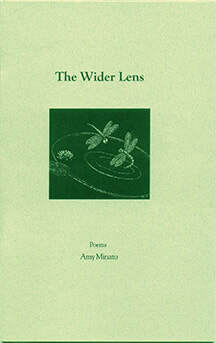 AMY KLAUKE MINATO received a 2003 Oregon Literary Arts Fellowship for her poetry and a Walden Fellowship for her prose. Her publications include pieces in From Here We Speak: An Anthology of Oregon Poetry, and in the following journals: Madinson Review, Cottonwood Magazine, Cimarron Review, Wild Earth, Fireweed Magazine, Wilderness Magazine and Seneca Review, among others. Amy holds both an MFA in Creative Writing and an MS in Environment Studies from the University of Oregon. She worked for Fishtrap, a nonprofit literary organization based near the Wallowa Mountains in northeast Oregon.